Ever notice how Christopher Nolan’s movies (Interstellar, Inception, The Prestige) feel like an anxiety attack? Well, maybe that’s overstating things a bit. But the director does have a knack for creating an unnerving degree of tension. Turns out he’s using a little bit of musical magic to do it. The magic is actually a science-based audio illusion called a Shepard tone. Named after psychologist Roger Shepard, a pioneer in our understanding of spatial relation, the effect sounds like an infinitely ascending or descending scale. The tones are constantly moving upwards or downwards, but they never seem to reach a pinnacle or nadir. This is accomplished by stacking scales on top of each other—typically one treble scale, one midrange, and one bass—with an octave in between, then playing them in a continuous loop. The screenplay had been written according to musical principals. There’s an audio illusion, if you will, in music called a “Shepard tone” and with my composer David Julyan on “The Prestige” we explored that and based a lot of the score around that. And it’s an illusion where there’s a continuing ascension of tone. It’s a corkscrew effect. It’s always going up and up and up but it never goes outside of its range. And I wrote the script according to that principle. I interwove the three timelines in such a way that there’s a continual feeling of intensity. Increasing intensity. So I wanted to build the music on similar mathematical principals. Knowing this, you gain a deeper understanding of films like Interstellar, Inception, and The Prestige. It also explains why these films seem somehow inconclusive. 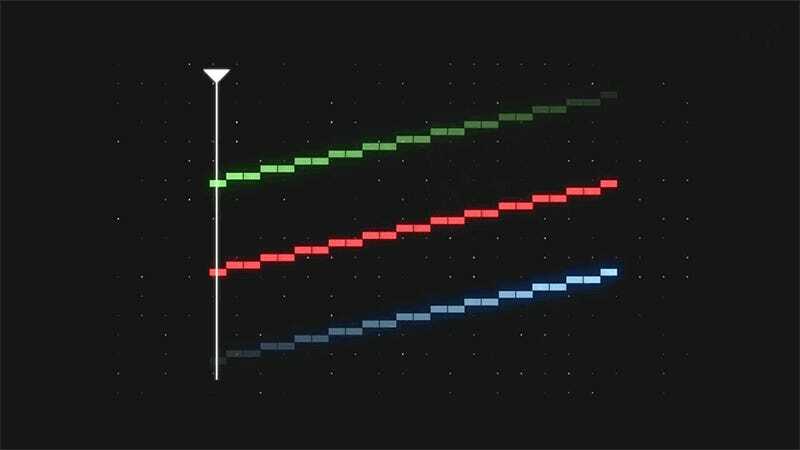 A Shepard’s tone creates a conflict that can’t be resolved, just like Nolan’s plots.